Cannot get enough stripes at the moment. I would be happy if any of it showed up at my door! I absolutely love stripes too! I think they should be a classic! Classic and universal. Collection of red and white would be great too! Stripes can be worn in various styles like classic, navy, French... so versatile! AND I just ordered some striped shirts for the husband and myself this morning from BR! Love, love stripes! That weekender is totally going on my travel must have list! What is it about stripes that are so freaking fun! 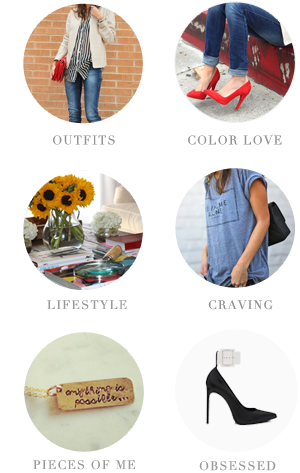 Loving those pieces girly! We love stripes. That Topshop dress is so much fun!! Stripes are my all time favorite, forever. Period. 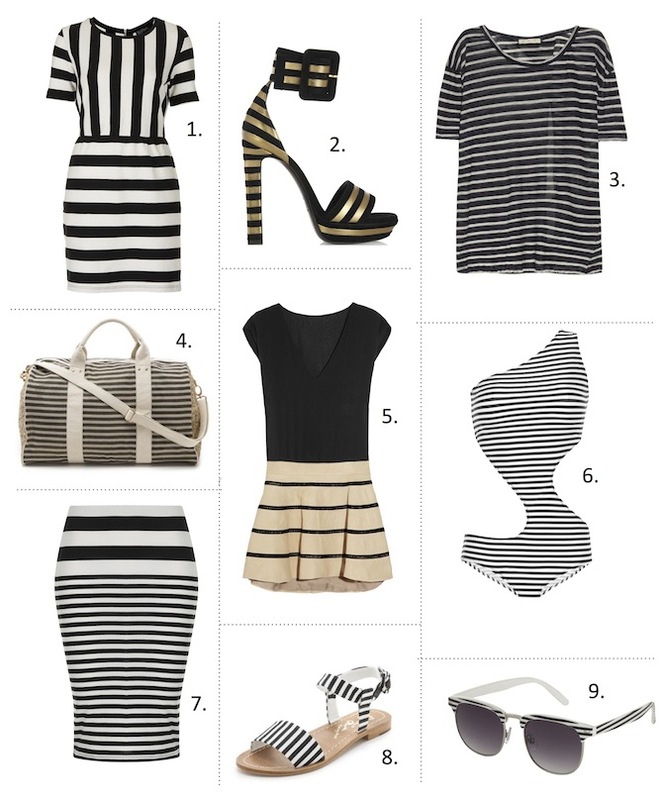 Totally loving number six, not only is it all stripey, but the cutouts are perfect locations to show off my tattoos! Gosh I don't think I'll ever get sick of stripes. It always looks so effortless, chic and classic/modern at the same time! Loving stripes for spring! Great picks! I saw that middle look with the split leather skirt on Pinterest recently and am so obsessed! There's something so chic about sleek black and white stripes. I just can't get enough stripes!